Excerpts and images reprinted with permission. "It's fine being a journeyman and all, but every once in a while you gotta take stock of where - and who - you are. If you find yourself wanting excitement over refinement, the Zu Omen wanna talk to you." "Are you a car owner who buffs his pride and joy more than you drive the damn thing? You will find such types in the audiophile brotherhood. OCD readily bleeds into our pursuit of happiness: the tweaking, the polishing, the juicing. Conversely, there are guys who just wanna assemble a system, plonk it down and the boogie into the wee hours. Maybe you're somewhere in the middle? A polisher and a dancer. Spirit before accuracy. Fun before refinement. An agenda of demarkation: Us and Them. After all, we’re only ordinary men. Listening sessions. After dissolving the Egyptians, Robyn Hitchcock’s mid-90s ‘comeback’ solo effort (Moss Elixir) pressed heavily on acoustic guitar strum and electric guitar jangle, supplemented by light percussion for subtle rhythmic motion. Via the Zu floor stander, on one hand Hitchcock’s numerous guitar layers are anchored via bass mass but, on the other, the ambient frequencies of the super-tweeter lend weightlessness to Deni Bonet’s seagull violin. Up in a down world. The Omen know how to disappear. They are the full Houdini. 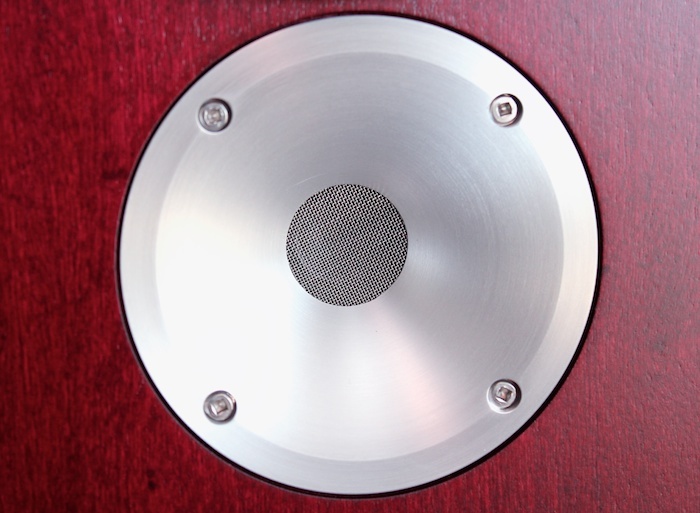 Music exists in the netherworld between each speaker ensuring not a single trace of boxiness. Moreover, their expressive dynamics ensure they are engaging at low volumes. You don’t have to crank them……but it’s devilish fun when you do. The immediacy and physicality of the Omen sound is arresting. Monster macro shifts and subtle micro-dynamic inflections – that’s the Omen in one sentence. Fans of large orchestral pieces will undoubtedly enjoy the larger gear handling (the right hand giveth) but also will likely need to hang in there during the coarser handling of solo violin (the left hand taketh away). The Omen’s treble isn’t pebble-smooth (like that of the WLM Stella, for example) and string-driven things are rendered with more beach sand than rock pool pebble. In the context of the RRP, this is a non-issue. Excitement and engagement ride ahead of refinement and sophistication in the descriptive motorcade. 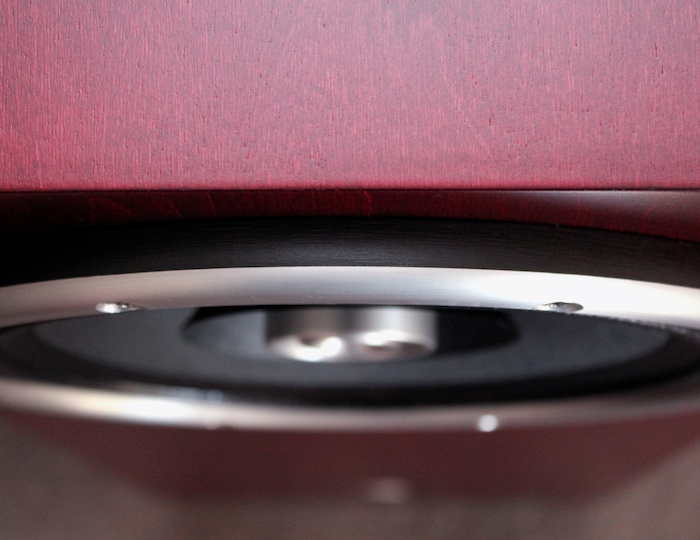 The soundstage is thrust a full half metre in front of the speaker plane. This takes some acclimatisation – it makes the eyes in one’s ears BULGE. Floor-standers for the ham-fisted, ball-grabbing new wave of The Ramones eponymous debut or the aluminium-bass-rumble of Surgeon’sBreaking The Frame – loudspeakers for those that have excitement and hedonism at the very top of their priority list – never do the Omen lack control or self-discipline. 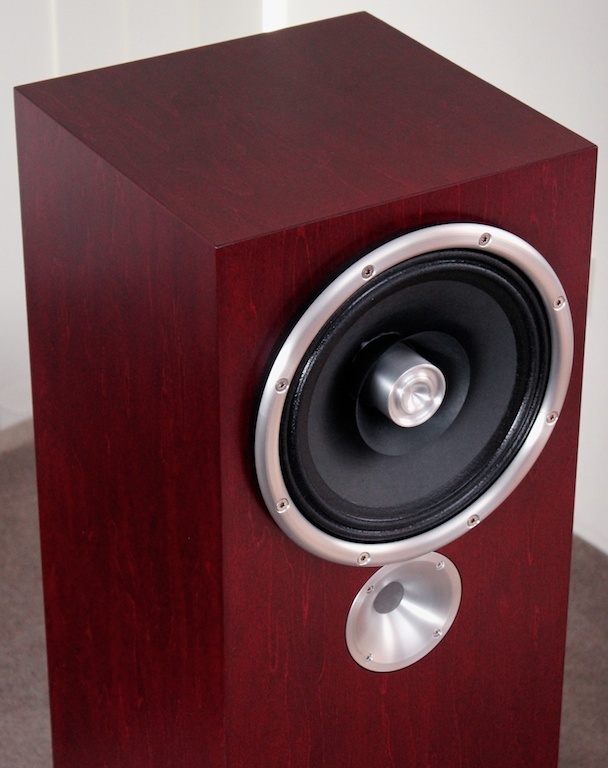 Despite a forward-projected soundstage, these are not forward sounding loudspeakers in the vein of the mighty midget 47Labs Lens (which draw tension through peaky upper-mids). Confident, the Omen don’t shout out for attention, but they are tough to ignore. They really know how to work a room. 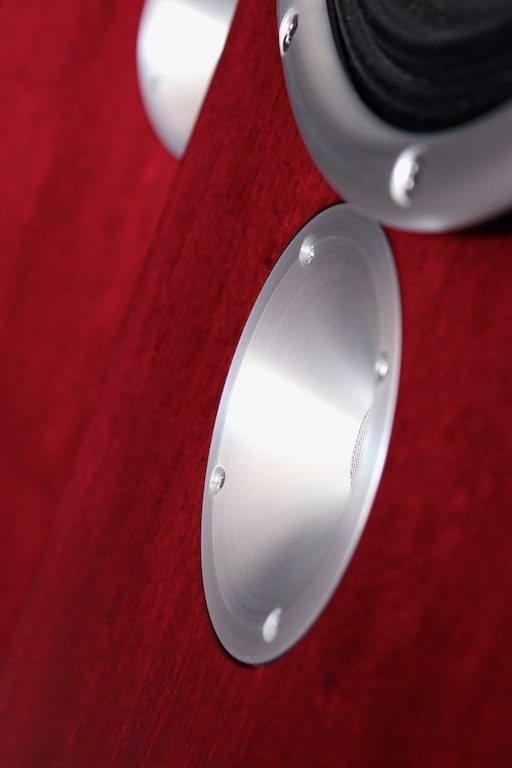 The super-tweeter isn’t super-aggro – it does more with soundstage projection than inner detail resolution. Such hesitance means the last soupçon of kick-drum plumpitude and edge definition is fluffed. Balls!? Think furry tennis instead of smooth squash. 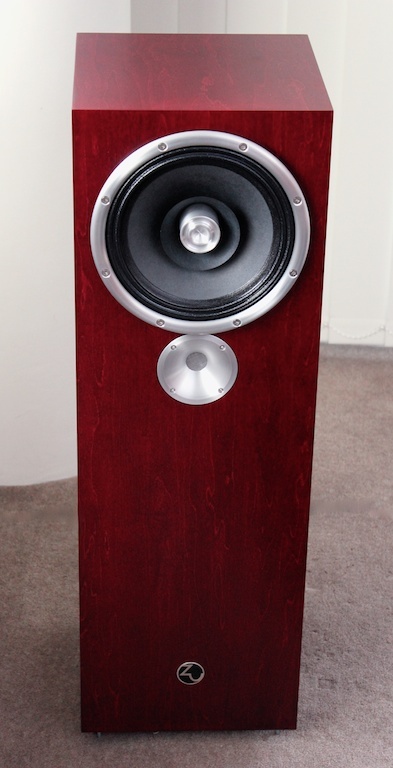 That “squash ball” kick drum sound is the preserve of Audio-gd amplification flowing into Usher S-520 standmounts. The Ushers’ common-or-garden ‘hifi’ two-way signature is crisper/tighter with electronic beats and more incisive with percussive mayhem than the Omen. Zu counter with a slightly more relaxed presentation, formulated from a combination of richer tone and spacial cues; an altogether more organic personality. The aforementioned Hitchcock guitar pluck is over-etched via Audio-gd/Usher and far more affable by way of Leben/Zu. (An addendum: overall detail resolution increased as run-in progressed). Zu’s high efficiency field means a possible ploughing from all manner of amps, particularly the sylph-like delicacy of a (budget) singled-ended. I leashed the Miniwatt N3 to the mainsail and found proceedings to be lean, clean and illuminated/separated and – above all else – fast. Three and half meagre watts per side puts a dampener on low-down mass. With Miniwatt, the Omen are more do-able in smaller rooms. However, Zu don’t reach Hoyt Bedford levels of flexibility – room dimensions will be of a more pressing issue with Zu than Hoyt. For smaller listening spaces, the Miniwatt (or similarly low-powered ilk) is all that’s required for harbour-restricted jaunts aboard the Spirit of The Omen. Want the open seas? 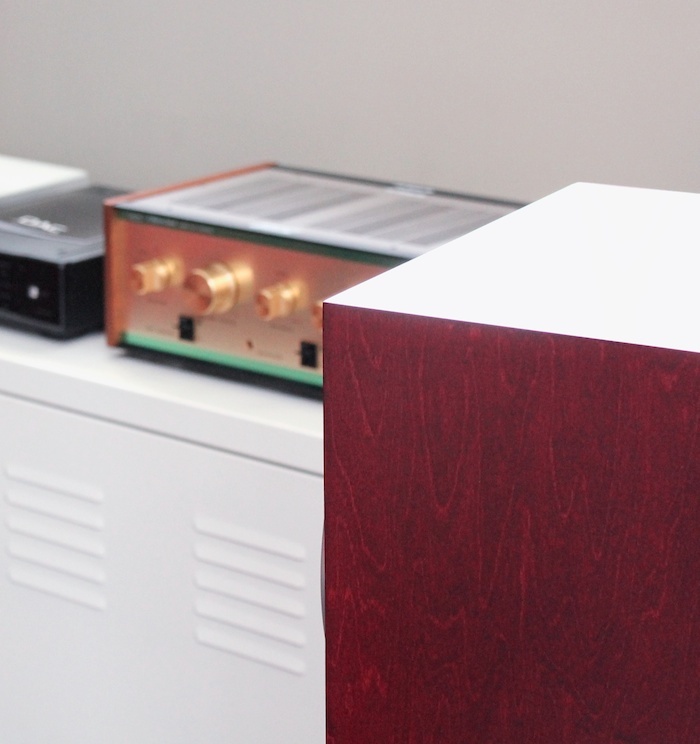 You’ll need a bigger room and a bigger-sounding amplifier. The Leben/Omen combo snakes through lusher/thicker/greener grass. Leben-lead sessions highlighted more obvious ‘fatness’ throughout the frequency range; the richness ante had been emphatically upped. Obvious? Sure it is — but sharper guitar lines (by way of Omen) thrive on the tenderness and affection (and harmonics!) afforded by the more luxurious/expensive EL84. 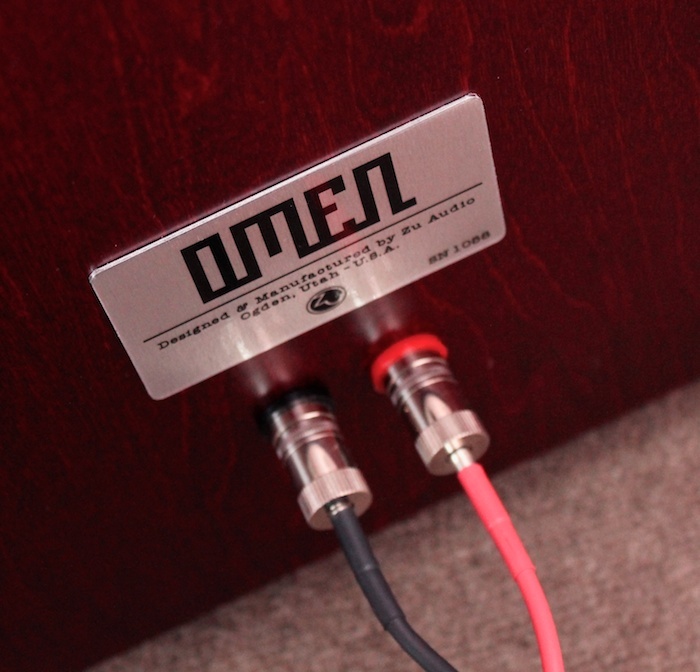 With Omen fuelled by an Audio-gd pre-power war machine, detail carves its name deeper into the bark – subtlety is less ambiguous and stage players overact their lines. There’s the rub: Omen magic is defined by its ambiguity. 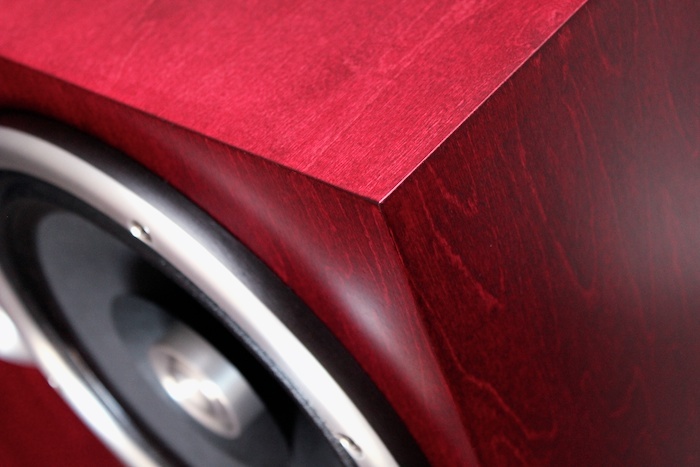 Like Naim, they shoot for musical spirit before working their way down the audiophile checklist. More complex music? In the face of the raucous ending to Baby Bird’s “I Was Never Here”, the Omen’s resolve with such complexity refuses to buckle. Stephen Jones’ vocal howl doesn’t bleed into the surrounding guitar thrash – the voice can be heard from within the hurricane. More direct comparisons with the Type 2 Hoyt Bedford. They’re both American, both crossover-less and both of similar box dimensions. Louis Chochos’ floor standing widebander offers no super-tweeter augmentation. His sound is one that invites the listener closer, rather than the lapel-seizing Omen. The HB’s are come-hither seductresses that draw you ever closer…until you’re swallowed by midrange jaws (only to regain consciousness inside the belly of the song). Cochos’ sound is also drier. The Zu Omen don’t play this way – theirs is a more (overwhelming) musical drenching, the listener dumped by wave after wave and then drowned in sound. The experience redolent of being at the mercy of a puppet master, one is forced to move (willingly or not) to the groove. With a full and commanding bass presence anchoring song to floor, the Omen mainline the physicality of music. As cornball as it sounds, they make you wanna move. When considering bass mining and (especially) treble chair lift, the Zu offers more of both. 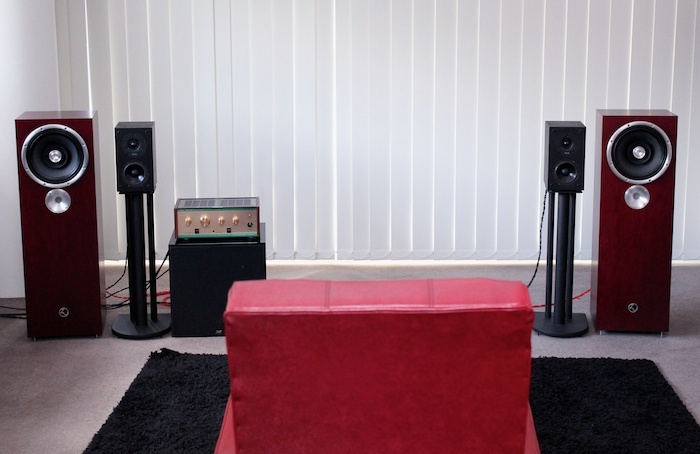 The Hoyts are more dynamically restrained and thus work better in tighter spaces/corners and less forgiving rooms. The Omen serve up more leading-edge detail. Re-contextualising this tete a tete by way of Radiohead albums: the Zus represent the rock-guitar nervosa of OK Computer, the HB are more closely aligned with the chin-stroke of Kid A. Neither is the better album, they’re just different. The Zu’s joker-in-the-pack is its sheer physicality with music. Hoyt Bedford turn the cerebral card first. Time for a second opinion. Whilst undertaking this review a friend spent a entire day auditioning the Omen. He wrote (to me) about his experience. His words nail it far better than my own. With Phil Spector-like wall-of-sound imaging and a emotional/musical tide that King Canute wouldn’t presume to challenge, the Zu Omen are impossible to ignore. They’re a genuine all rounder, fielding treble with flair and dexterity and bat bass with an emphatic punch (that’s taut). They aren’t the last word in overall transparency, but boy are they fun. 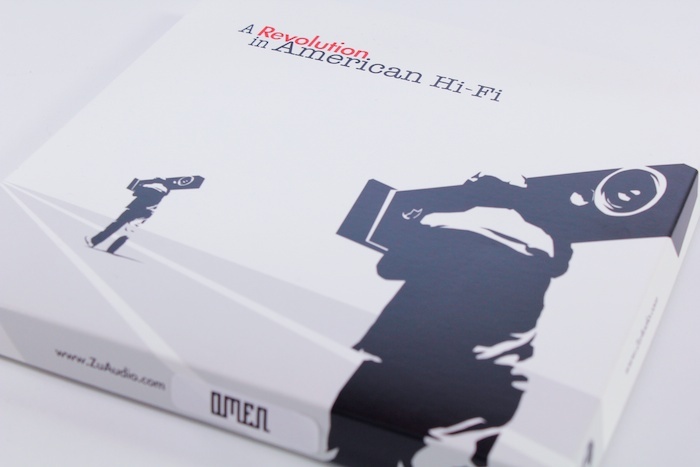 On a very simplistic level, the Omen make with an organic midrange and speed – classic single driver traits – but WITHOUT compromising frequency extension. 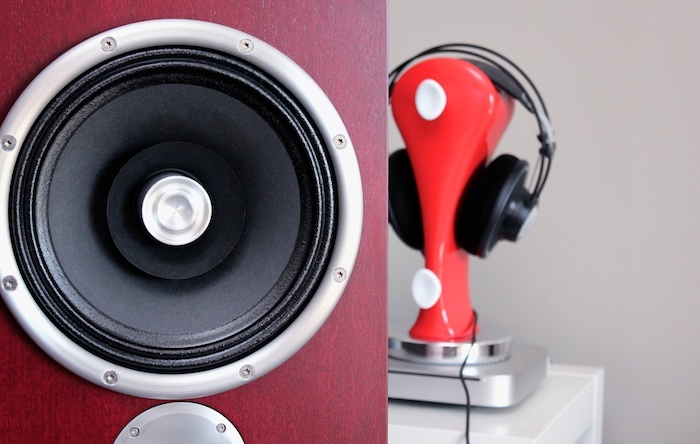 In making loudspeakers for audiophiles who don’t like the baggage that comes with such terminology, Zu are quite obviously – and daringly – attempting to reclaim the “A” word…so that it doesn’t alwaysconjure images (in my head at least) of balding, overweight, middle-aged men slumped in plastic chairs listening to Diana Krall for the 36542342th time. 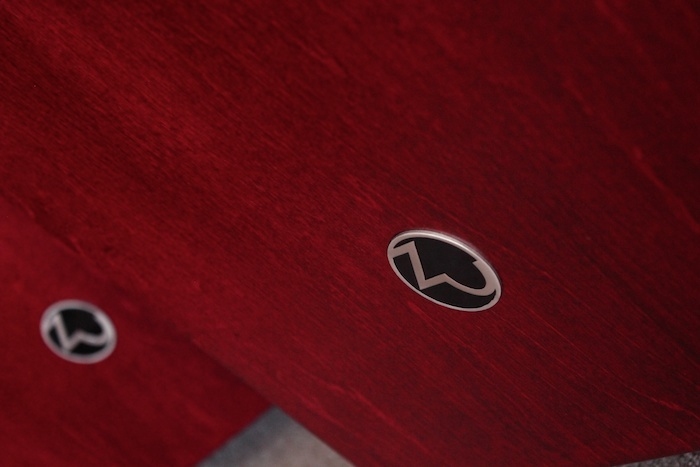 The Zu Omen won’t necessarily be “the go” for show-pony hifi fans – Zu get my vote on that score alone. 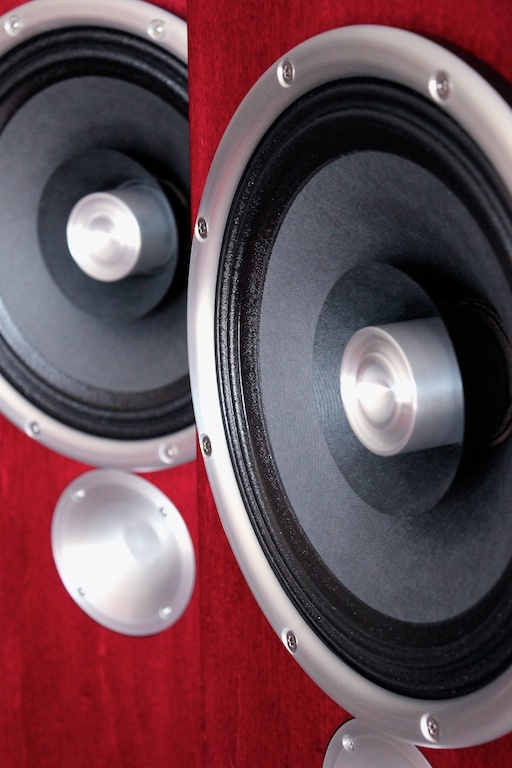 They are loudspeakers for drivers, not spit ‘n’ shiners. 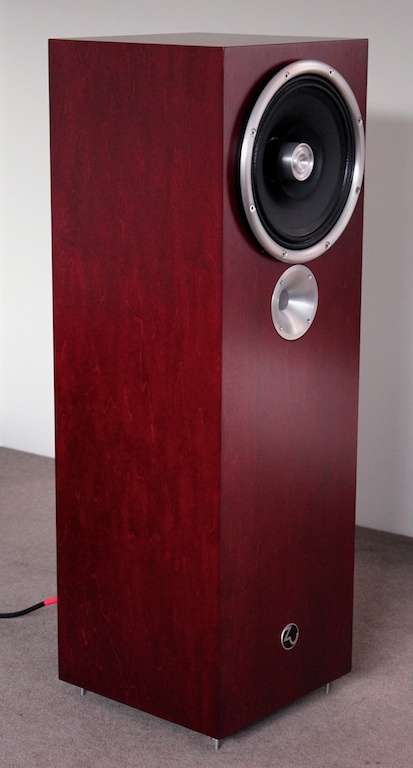 ; wideband floorstanders for the modern, forward-thinking audiophile. They play music such that it sounds utterly detached from from equipment that reproduces it and they do so in a way that’s both personal and arresting. It’s fine being a journeyman and all, but every once in a while you gotta take stock of where – and who – you are. If you find yourself wanting excitement over refinement, the Zu Omen wanna talk to you.